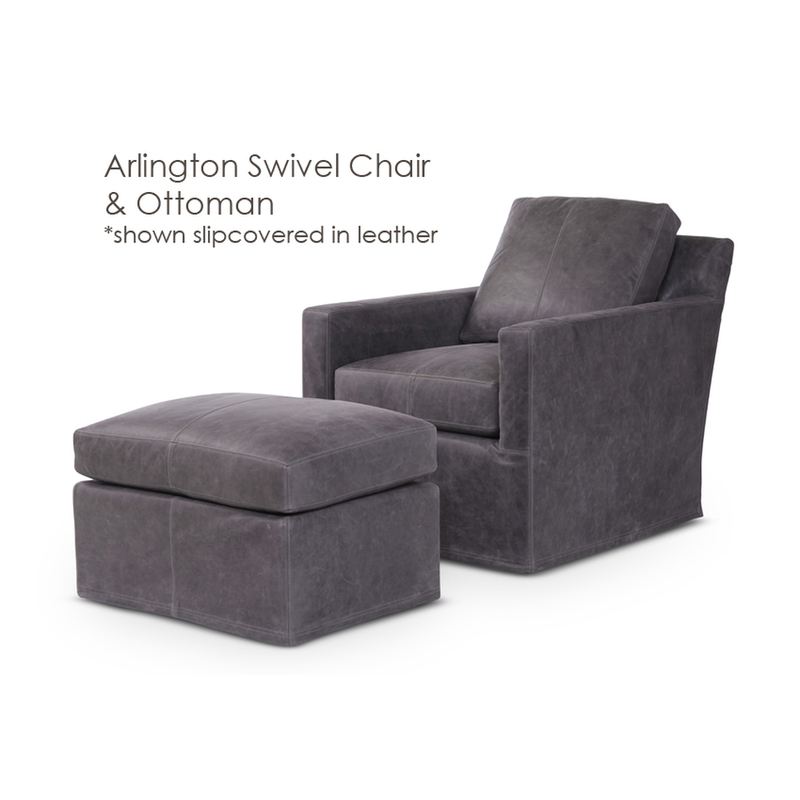 May be ordered with or without a swivel base. 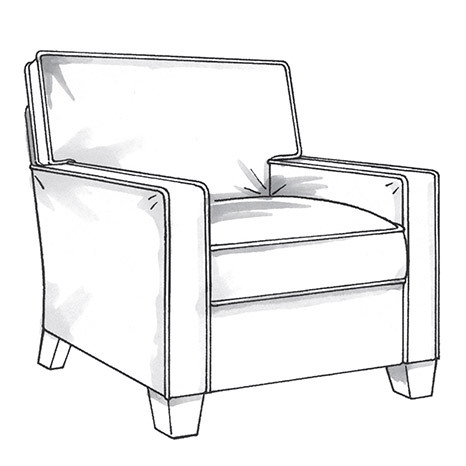 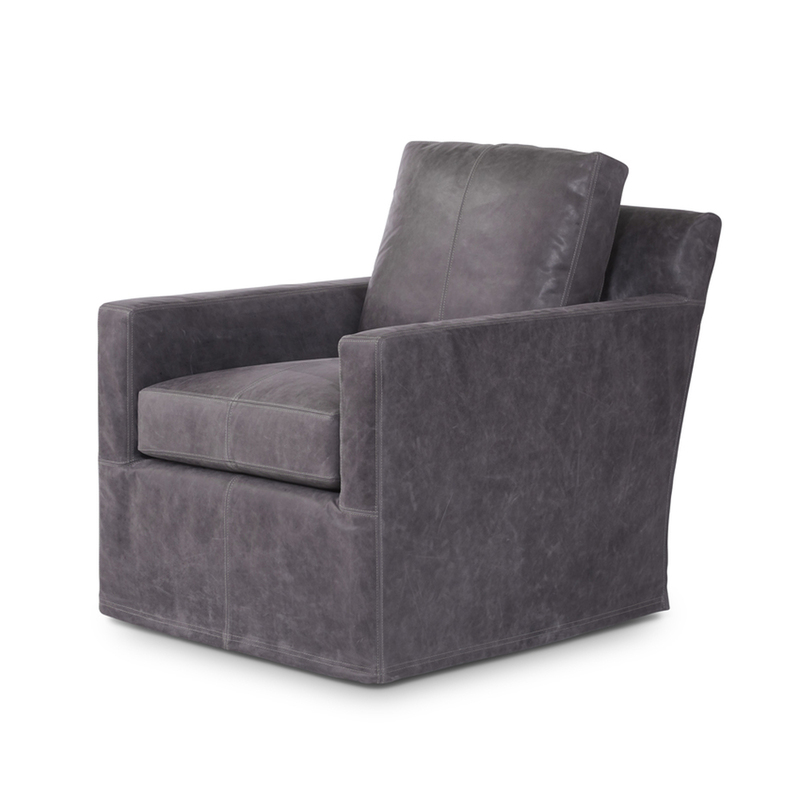 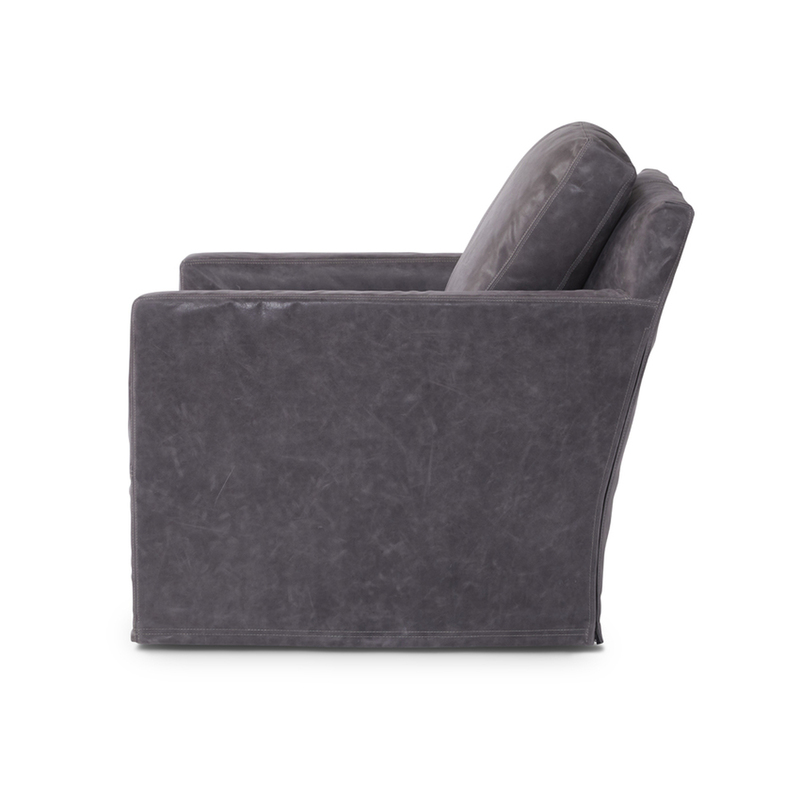 Swivel base available with slipcovered or fully upholstered chair. 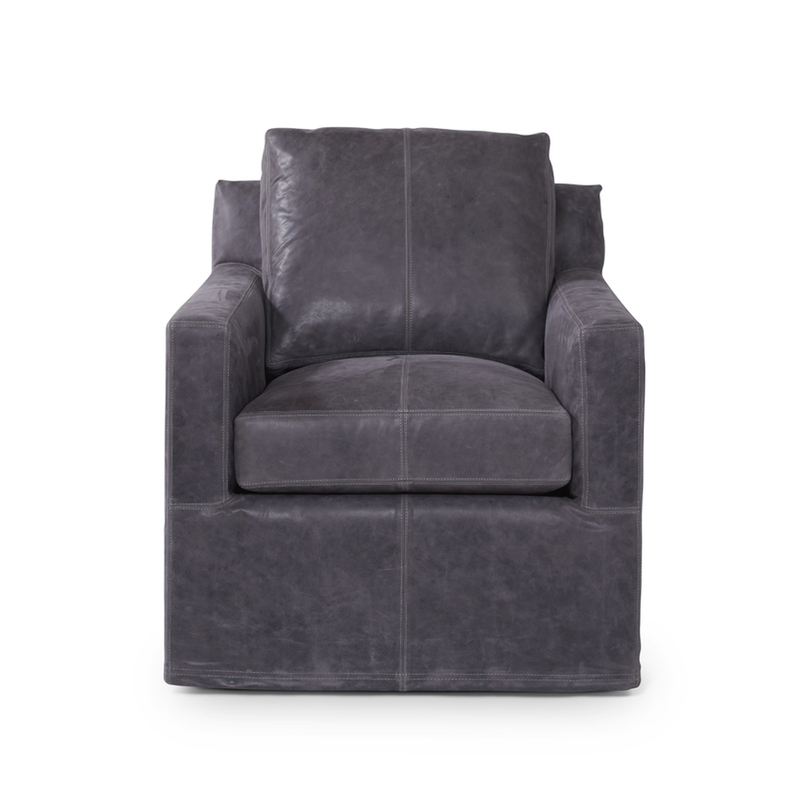 Shown slipcovered in Grade "M" Burnham - Slate leather with double needle stitch detail.